This post is just an add-on post for my last post. Or I should say a brief about Lumia Cyan and its features. We all know and I’m sure many users are already using Lumia Cyan. Lumia Cyan is the recent framework update with the Windows Phone 8.1 stable version. This is very important for Lumia users because it includes Windows Phone 8.1 with Cortana and the latest framework which will improve the phone performances and functionality. This framework is supposed to improve the hardware interaction with operating system and software and for those who are already using Windows Phone Developer Preview will also see lots of improvement in their device. There are also many other new features which are likely to be included in the Lumia Cyan Update like improved Nokia Camera and photo editing tools like the camera roll and Creative Studio. After Lumia Cyan Update the issues with Nokia Creative Studio on some phones have been fixed. Lumia Cyan Update will also bring improved Nokia Storyteller app for sharing stories as a video slideshow. With Lumia Cyan Update you will also get features like SensorCore. The goal of SensorCore is to enable smartphones to collect information from its sensors without affecting battery life. Everything from steps (pedometer), motion, GPS data, and time is recorded to the phone. As a result, users do not need to wear a bracelet or wearable to keep track of their health and activity levels. Improved Action Center, Improved Calendar and start screen enhancement with parallax are other important features. Read Here about which includes in Windows Phone 8.1. Read Here about installation Process of Lumia Cyan. 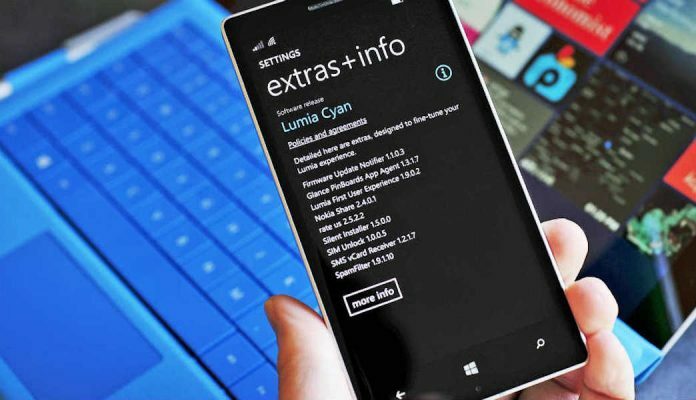 Click Here to track the availability status of Lumia Cyan for different countries & different phones.